Eurocom (www.Eurocom.com), is launching five new Intel Core i7 mobile processors in the line of Eurocom Fully Upgradeable Notebooks, including the Intel Core i7-3940XM, 3840QM, 3740QM, 3630QM, 3612QM. The 3rd generation Intel Core i7 quad core mobile processors will give Eurocom Notebooks increased power efficiency, performance and security. 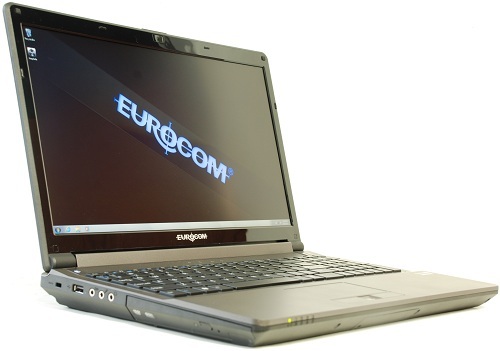 All Eurocom notebooks are fully upgradeable and customizable, allowing customers to choose exactly the processor they need to get the job done right. “The low thermal design point and energy consumption of the 3rd generation Intel Core i7 processors allow Eurocom to provide top of the line video capability within our small form factor notebook designs because of the limited cooling needs of the processor” said Mark Bialic, Eurocom President. Leading the way is the Intel Core i7-3940XM Processor Extreme Edition running at up to 3.9 GHz with 8MB of L3 cache, delivers exceptional high-definition multimedia, multi-tasking and multi-threaded performance. High-performance 3rd Generation Intel Core i7 Processors allow users to simultaneously run multiple applications at the same time -- all with increased and more efficient performance. Intel’s Extreme tuning Utility allows users to tweak the performance of their system to get the absolute most performance. In addition to markedly improved 3D performance during gameplay, it will also support hyper threading, allowing one processor to work as two for faster performance and multitasking. The new Intel Core i7 Processor will improve capabilities for 3D graphics as well as 3D game play, allowing for smoother operation. With new features that make working with media faster than ever, new 3rd generation Intel® Core™ processors help multimedia enthusiasts create, enjoy and share videos—how they want and where they want on their Eurocom notebook. -Storage: up to 1TB of storage space; one physical hard drive. SSD, HDD Hybrid drive support.